A staggering 54 countries were ‘involved’ in the Senate report in helping US terror activates around the world. Here are seven governments whose leaders will be having sleepless nights trying to come up with excuses to explain their actions. Although none of the countries were specifically named in the heavily edited document, through a process of elimination and by putting data together, it was quiet clear, which nations were at fault in the report. Those countries which housed US sponsored detention centers were given a code color. Poland for instance was ‘Blue’, while Lithuania was ‘Violet’. This war-ravaged country was at the heart of the US’s detention camps, housing a total of four, according to the Senate report. Detention Site Cobalt, which is said to be outside Kabul, was one of the first places that interrogators had the chance to torture suspects, with techniques including beatings, sleep deprivation, chaining to walls and exposure to cold. It is not known how many prisoners were kept at the facility. The news was met with anger by Afghan President Ashraf Ghani, who said the report “violates all accepted norms of human rights in the world.” The US announced it was closing its last detention facility on December 10, after handing over Redha Al-Najar to the Afghan government. The Tunisian is one of the longest-serving detainees from the US ‘War on Terror’ and was captured as a suspected bodyguard of Osama Bin Laden in May 2002. Lawyers for Al-Najar say he was tortured at the Cobalt facility. Though it did not house any detention facilities likes its eastern European neighbors, however, Italy was guilty of transporting suspects for torture in third countries. One of the most high-profile cases involved the abduction of Abu Omar from Milan in 2003. The Egyptian cleric had been given asylum in Italy, but a joint operation between the CIA and Rome saw him taken to a US air base in northern Italy, before being flown via Germany to Egypt, where he was tortured. In a rare case, those involved in the kidnapping were prosecuted by an Italian court. Twenty-two CIA officers and one US Air Force pilot were convicted in a trial that lasted for three-and-a-half years, though the Americans charged were never remanded in Italian custody. Convicted in absentia, the Italian court issued prison sentences of seven to nine years to the US nationals. The Baltic state was heavily involved in the US’s rendition program, which according to the Senate report, saw Washington pay Vilnius $1 million in appreciation for establishing the Violet detention center. Prime Minister Algirdas Butkevicius is demanding answers from the US as to whether it used the facility for prisoner torture. Washington has so far declined to comment. Vilnius found out that the CIA ran flights in and out of the country. Abu Zubaydah, a Saudi now held at the US military prison in Guantanamo Bay, says he was kept in the secret CIA site in Lithuania and has asked the Strasbourg-based European Court of Human Rights (ECHR) to rule that Lithuania acted illegally. According to the US Senate report, Poland housed a facility that was used to interrogate Al-Qaeda suspects between 2002 and 2003. Abuses recorded included sleep deprivation, water boarding and mock executions. This was confirmed by former Polish President Aleksander Kwasniewski. While he was in office, he admitted to letting US intelligence create a facility on Polish soil. The ECHR has already ruled that abuses took place in Poland and ordered the government to compensate detainees. Kwasniewski denied that Warsaw had any knowledge of the CIA’s operations, asked the US government to sign a document asserting the people at the facility would be treated in accordance with Polish law and humanitarian norms. However this memorandum was never signed. A cable that was included in the report warned that Zubaydah’s interrogation was approaching the “legal limit,” however Jose Rodriquez, then chief of the CIA’s Counterterrorism Center, said “such language is not helpful.” It was reported that Zubaydah was water boarded 83 times and kept in cramped boxes for nearly 300 hours. The Thai government has denied ever allowing the United States to detain or torture terrorism suspects on its soil. 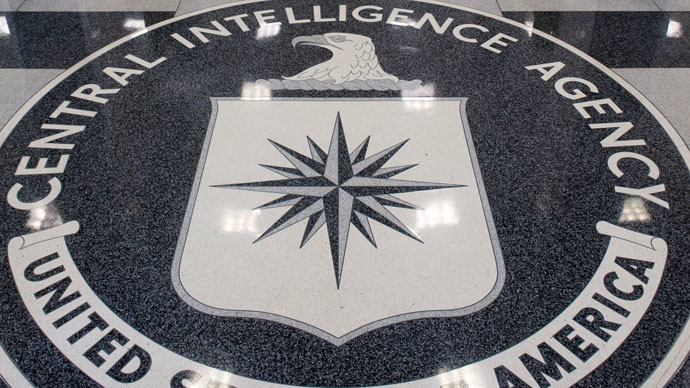 The CIA report claims Britain was involved in rendition flights to transfer detainees, while it also interrogated suspects it knew had been tortured. It was also revealed that the British government offered logistical support for key aircraft in CIA rendition exercises, permitting them to refuel at UK military and civilian airports hundreds of times. It has also emerged that MI6 was complicit in a least two separate CIA rendition cases in 2004, which resulted in the kidnapping and transfer of two Libyans to prisons run by the Muammar Gaddafi regime. Both men’s families were also abducted. The pregnant wife of one of the men claims she was bound to a stretcher with tape from head-to-toe for the duration of a 17-hour flight. Ten years ago, Craig Murray, the former British Ambassador to Uzbekistan made a claim that the CIA was transporting suspects from Poland to the Central Asian nation to be tortured. However, he was laughed at and branded a liar for his allegations. A decade later it was proved Murray was correct. Despite the fallout from the report, Murray doubts if this will force the CIA into altering its tactics.